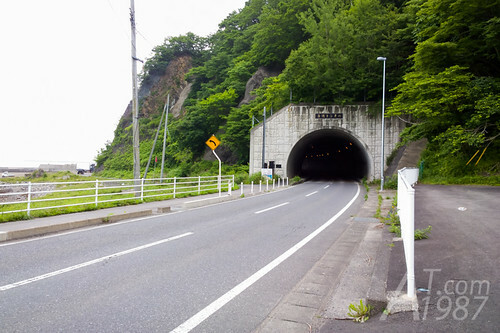 At the beginning of 268, the road is wide. It’s quite easy to ride here. The hardest point is the hill which needs quite strong legs. Since I rode an electric assisted bicycle. It’s easier for me to ride pass it. Rode downhill and found a small beach named Funato before entering the tunnel with the same name. You can swim in this area but there are no people doing this at the time I visited. Maybe the wave was too strong. I found this sign when I exited the tunnel. It warns if there is rain, this road ahead should be avoided. Luckily the weather was OK when I rode on this road. Just a little cloudy. 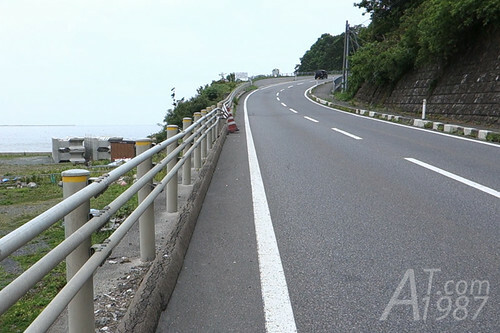 The coast road is large enough for small cars to drive past each other. 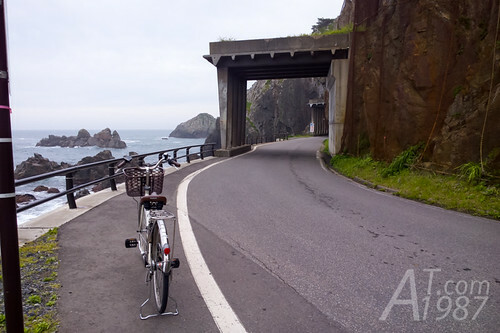 Bicycle rider needs to be more careful although most Japanese cars won’t try to pass you. 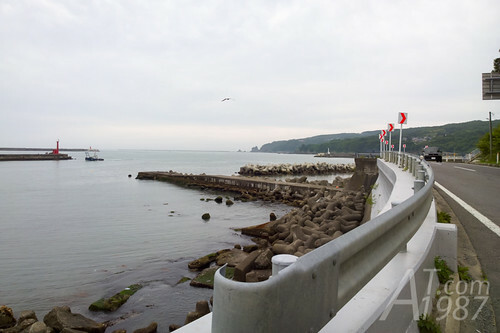 On the way to the destination, you will see Tsurigane-dou. It’s a natural made cave. 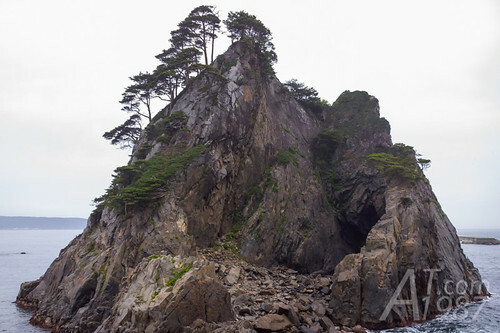 In the past there is the bell shape stone inside the cave. So the cave was named after it. But now the rock is disappeared. 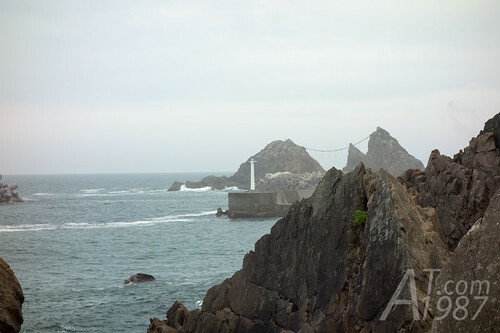 Finally saw Meoto-iwa and the iconic small lighthouse which appears in the drama. 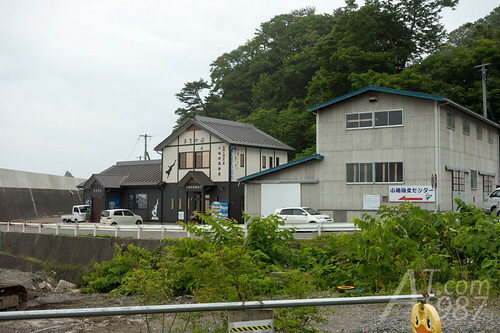 The first building you will see when reaching the destination is Kosode Fishing Union. The organization similar to the one in the drama. 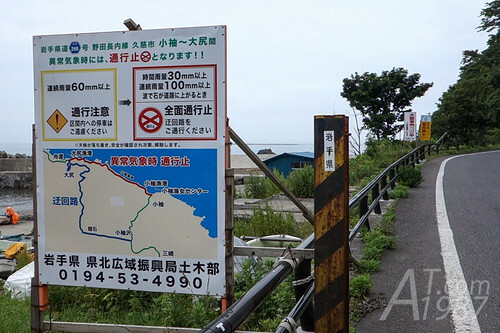 I arrived at the port area and saw staffs who directed tourist cars to park in the parking lot. I left my bicycle here. 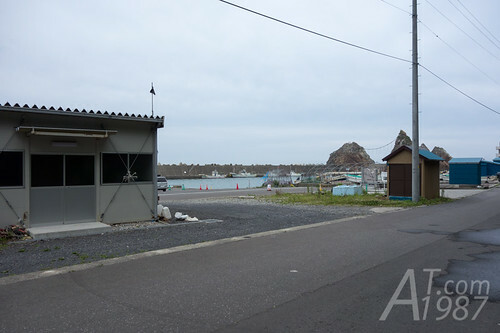 Next time I will write about Amachan filming locations in the port area and Ama’s sea urchin fishing. Please look forward to it. thanks for the story, i also want to visit there this winter. can you explain more details on transportation from tokyo via shinkansen cause i find its a tricky trip especially if you can’t read&speak japanese, and also is there any train service running from kuji station to kosode coast ? There are 2 ways to go to Kuji from Tokyo. You can read more about my method from these links.